WOC over and a week until O-ringen I headed north with the Robertsons and a few others up to Ruka, east of Kuusamo, near to the Russian boarder. 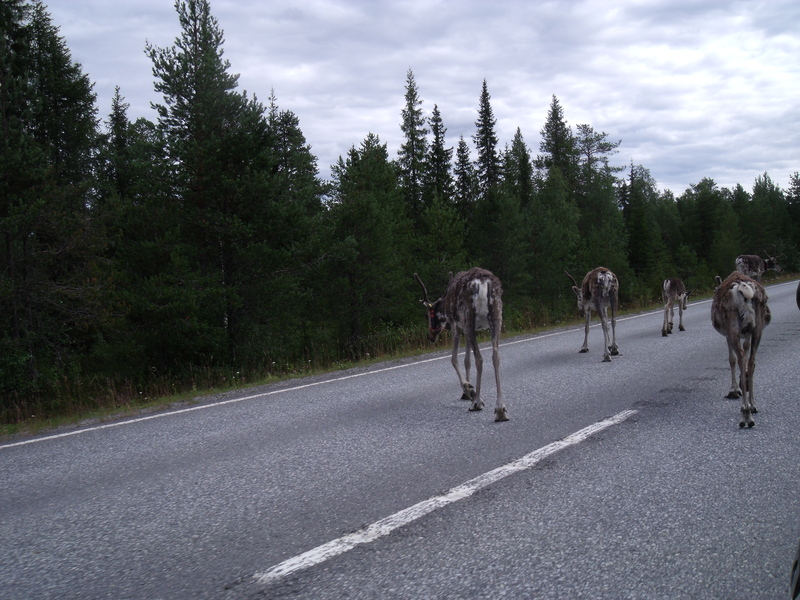 It was fairly evident we were entering Lappland when we had to slow down for the Reindeer hanging out on the road. Apparently they hang around the roads as the like to lick the left over salt from the clearing of the roads in winter and to avoid swarms of Mosquitos in the forest. Fair enough cause there was heaps of those nasty Mosquitos hanging around all over the place. Reindeer slowly moving out of the way for us in the car…. After a recovery and travelling day after the party we made some plans for the rest of the week. 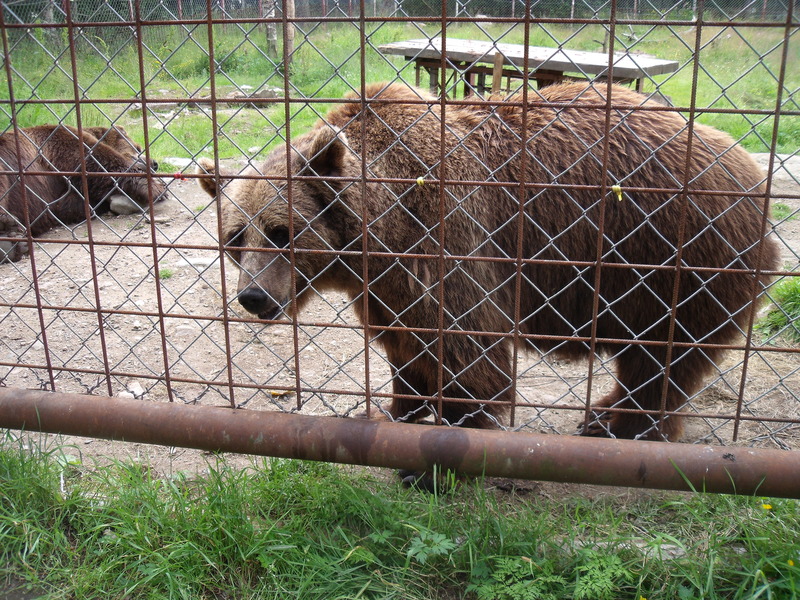 First day we visited a bear park which was interesting… but entirely in Finnish and the guide talked for about 10mins at each of the 3 crossbred wolf/dogs, 6 bears, 1 fox and 1 Lynx which could allegedly pee up to 3m so we were told to stand a bit back from the fence. Tim and Nick were not so keen on the whole idea and chose to stay outside with the cars… turns out they had a right proper Finnish experience and ended up helping some farmers stack some hay, then helped unload it, had some afternoon tea and got shown a meteorite! Only Bears we saw in Finland. There is 1000 of them out there somewhere apparently. 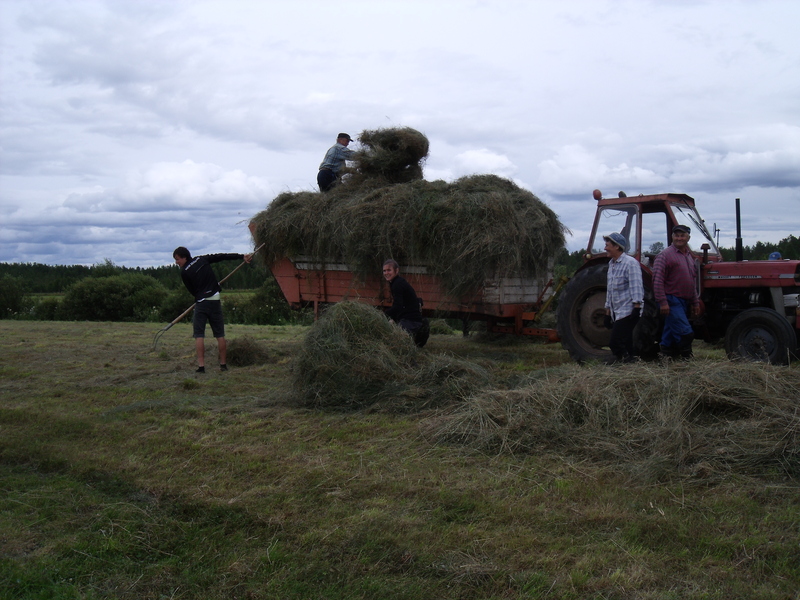 Genuine Finnish farming experience, stacking hay. 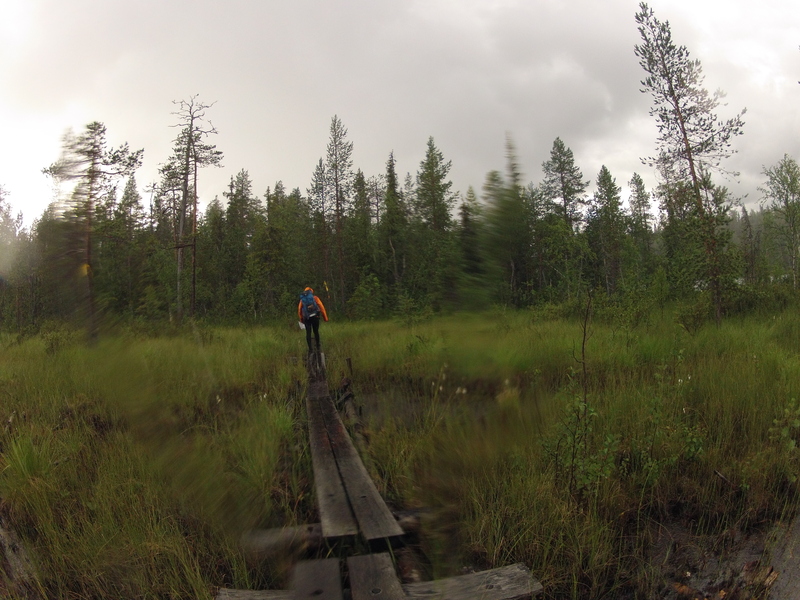 The next day we all headed north to near the beginning of the Karhunkierros trail and ran the first 15km to Oulanka. From here after a quick lunch stop Lara and I grabbed some tramping gear and headed out into the wilderness to explore more of the trail. 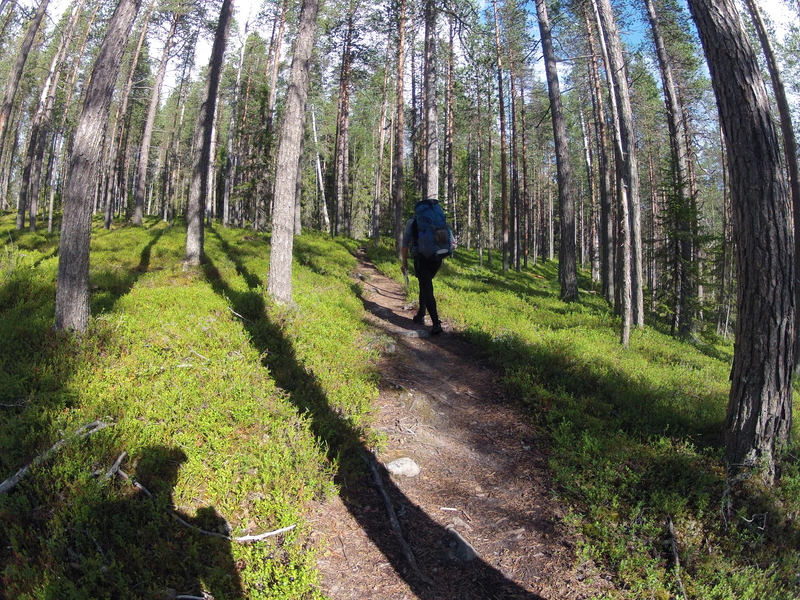 It was a largely present trail and really nice to get out and explore the forest away from relative civilisation. Wandering through the rain storm in search of shelter! Just before we called it quits for the day (you could walk all night it was that light) we were hit by a massive rain shower that lasted about 15 mins but thoroughly soaked just about everything. We picked a really nice spot to stop for the night but unfortunately although the lake was really warm it was too cold to go swimming. There was no one about while we had dinner and couldn’t understand why no one else was staying here… until we went to pitch our tents and a group of 20 odd french? students arrived at the hut… Glad I had my tent! It wasn’t long after we had pitched out tents that it started to rain again. And rain it did! Poor Lara was testing out here new lightweight tent, which turns out isn’t capable of standing up to Finnish rain. She was apparently up most of the night trying to keep her feet out of the puddle that was accumulating at her feet. Both of us were pretty cold and wet so there was no mucking around when we started walking again. The rain continued on and off in the morning thankfully it cleared a little by Lunch time which was enough to dry out my jacket. Just as we arrived at Juuma and our pick up point the rain started again. John and Anna very nicely came and picked us up from here. 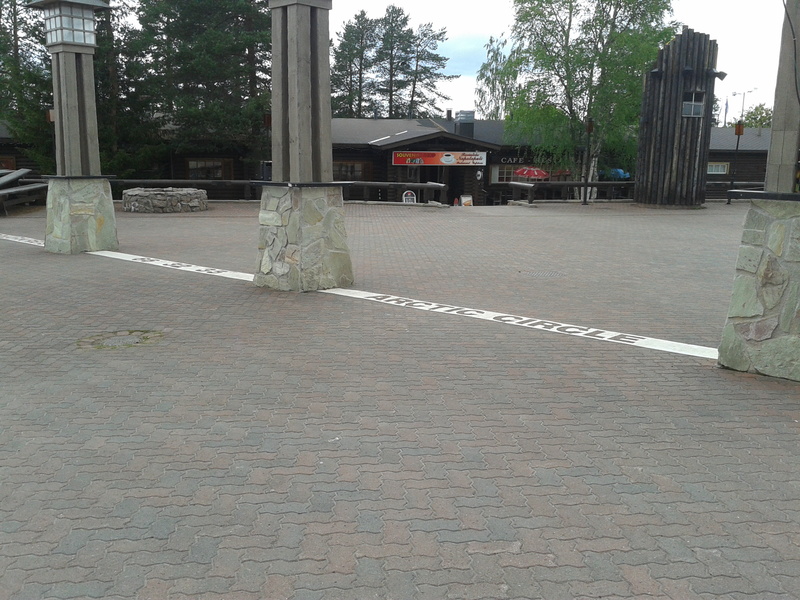 Once back at the house in Ruka we had enough time for some food then quickly were off to the Local club orienteering night. 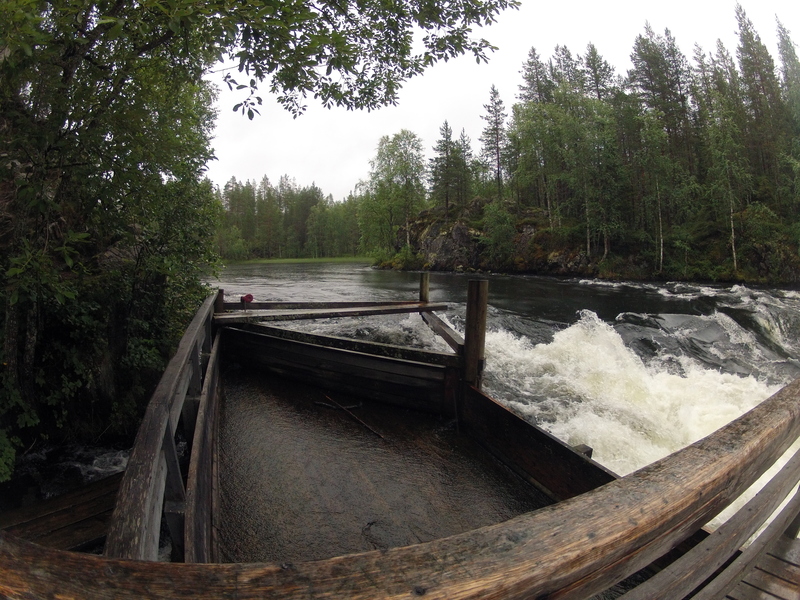 It was a really nice area for orienteering but since it had been raining quite a bit the streams were quite high. The last two days caught up with me and I suffered a little bit on my way around the course. The Sauna at the end of the day was enough to warm me back up to a sensible body temperature. Our last day in Ruka, Lara myself and Tessa went white water rafting down some grade 2,3 and 4 rapids which was heaps of fun. By the end of it we were hoping that we could take the raft down the grade 6 rapid which only 3 guides had been down before at the end! 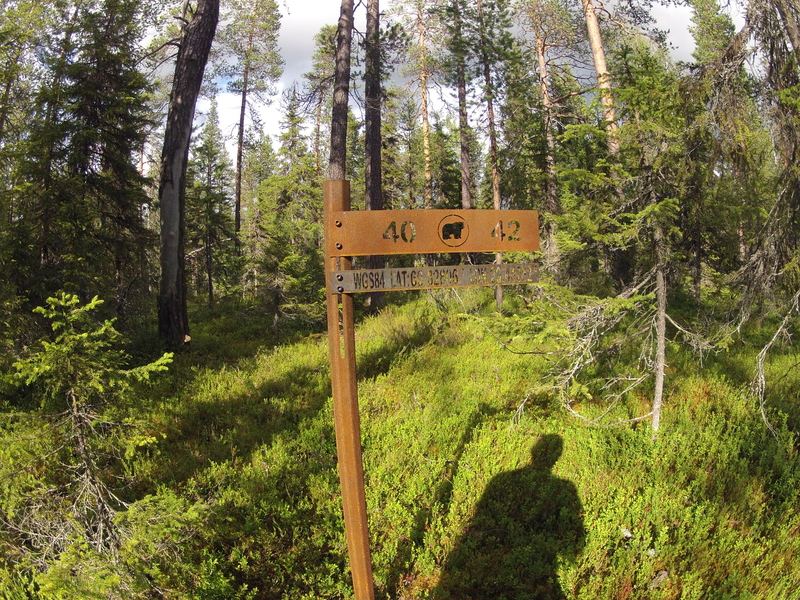 On the way through to Sweden we stopped by another Orienteering map and did some training in a really cool area once again. There was also time for a quick stop in Rovainemi to check out Santa’s Village and the Arctic circle. 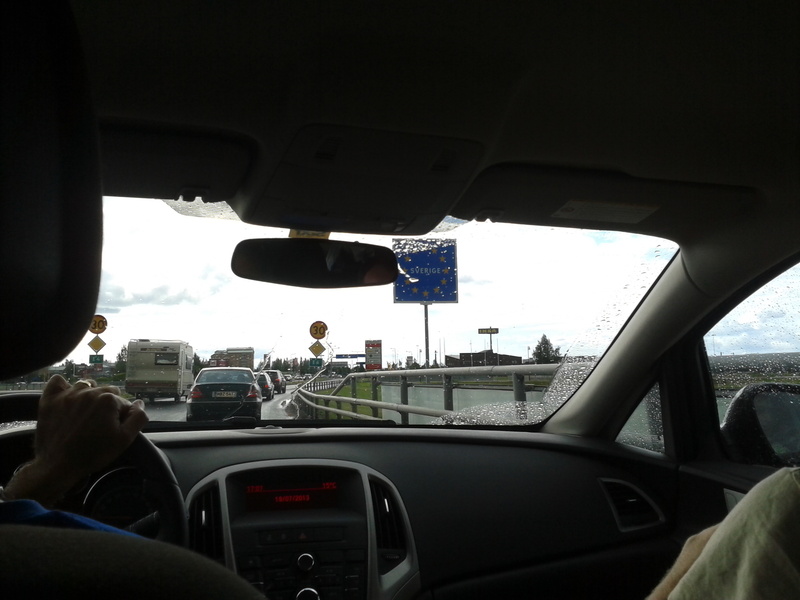 Afterwards it was time to head south into Sweden and into Luleå where Lara and I were dropped off. Lara got picked up by her family the next day while I caught the bus up to Boden and the Oringen Village in preparation for Oringen.